PS – Can someone tell us the name of our Piano Teacher? She was so kind to share her memories with us but we’re not sure of her name. Do comment below this post or email us at info@whileibreatheihope.co.uk if you can tell us who she is. Prior to, and in the years immediately following, the First World War, amateur musical and theatrical productions formed part of the entertainment in St Andrews. Enthusiasts came together largely to perform sketches, plays, musical numbers or light opera to raise money for good causes. Two leading lights in the pre-war years were Mr Walter Mitchell and Miss J E Huntingdon (later Mrs Stuart McEuen). In September 1921 for example, a performance of “His Excellency the Governor”, a farcical romance was performed on several nights in the Town Hall to raise funds for local war widows and their children. 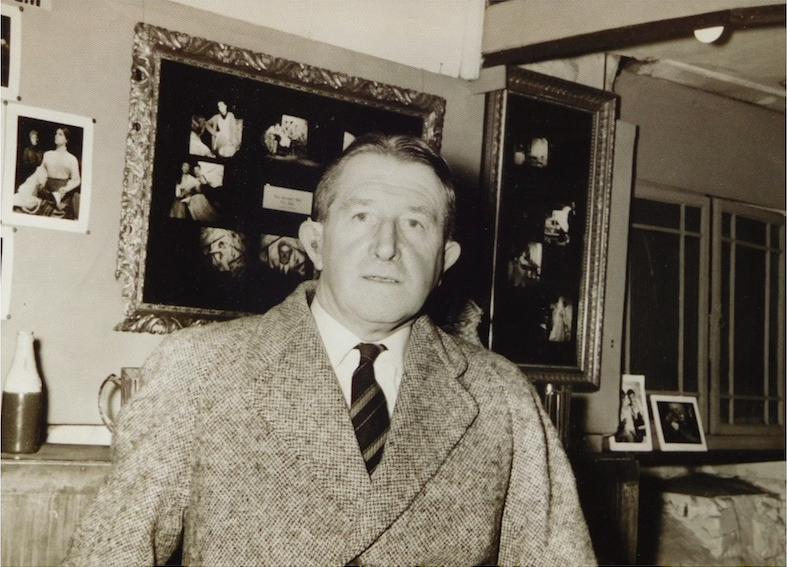 It was largely due to the efforts of Mrs Stuart McEuen that the performance came about and Mr (now Major) Walter Mitchell returned to St Andrews to take a part in the play. The decade following the end of the First World War saw an upsurge in Amateur Dramatic Societies in every corner of the country. In fact, throughout Scotland, the number of Amateur Dramatic Societies had doubled between 1914 and 1929. Why was this? One answer might be that people had survived the carnage of the war but none of them has been left unscathed. Many had lost family members and friends; large numbers had themselves been wounded. With the coming of peace, the public at large was, perhaps, in the mood for the lighter things in life. One of the office bearers of the newly formed St Andrews Dramatic Society was local journalist and playwright A. B. Paterson. One of these “other societies” mentioned was Hope Park Church Bible Class Dramatic Society. This dream was, of course, realised in 1933 when the St Andrews Play Club was formed from members of the Hope Park Church Bible Class Dramatic Society, and they took possession of a semi-derelict cow byre. 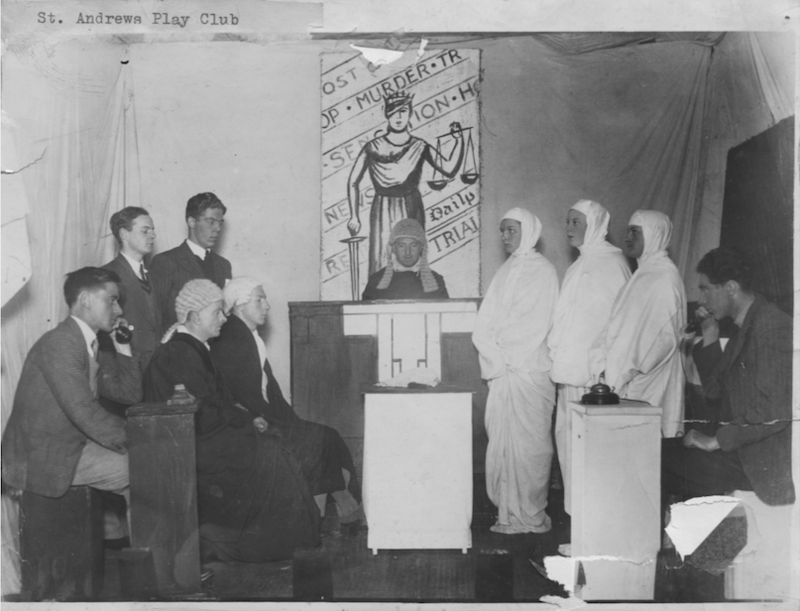 The St Andrews Play Club during a performance in 1935 of “Murder Trial” in the original Byre Theatre.